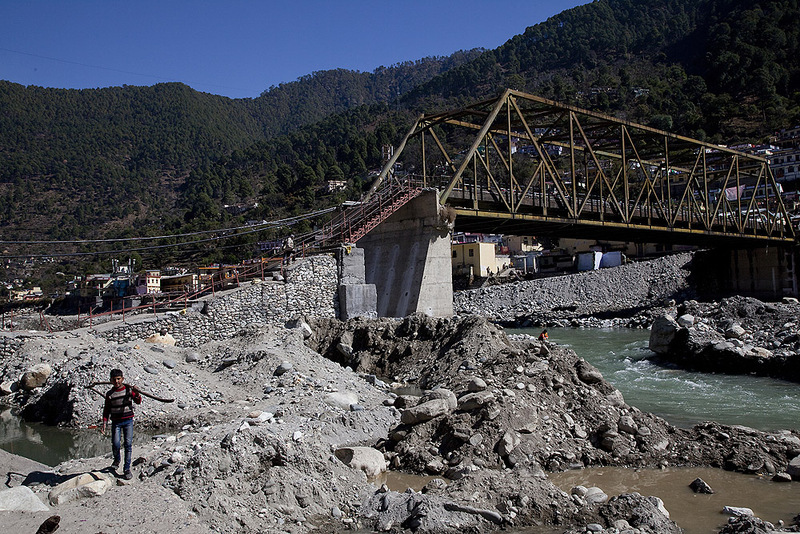 The power of the Ganges. Whilst travelling in this area I’d heard mention of what was referred to locally as ‘the disaster’ that happened in June of last year. 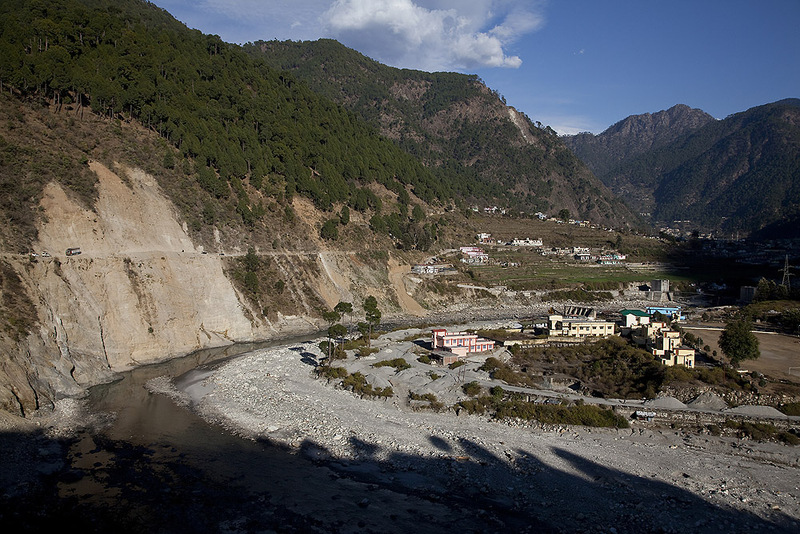 Although I’d already seen brief glimpse of it’s legacy it was only when I spent time in the town of Uttarkashi that I started to really understand the extent of what had happened. In June of last year during the peak pilgrimage season through this region and up to Gangotri it had unexpectedly rained torrentially for three days in a row. The effect of this was two fold. 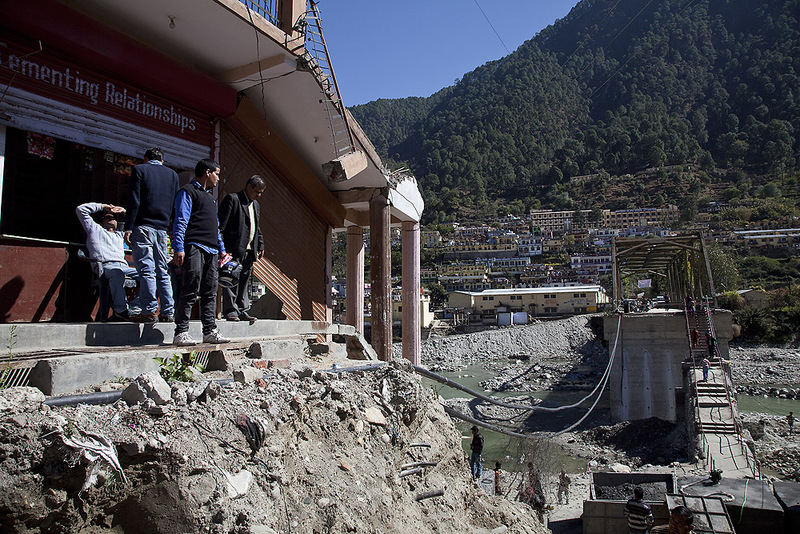 Firstly the river Bhagirathi had turned into a raging torrent of water that had caused major destruction along the banks causing whole sections of street and the buildings that stood on them to be swept into the river. The force of the water was so strong that boulders the size of cars were carried downstream adding to the destructive force of the water. Eye witnesses spoke of hearing a strange low rumbling noise from the water as it raged, this was the sound of the boulders banging together under the water as they were carried along the bed. 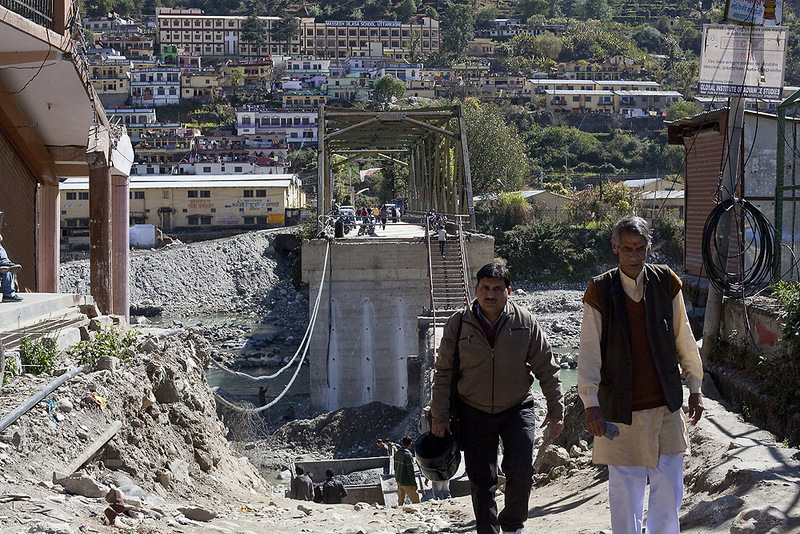 A trip to the centre of Uttarkashi to see the bridge that crosses the river really stood as an eerie testament to the power of the flood. It seems quite hard to get your head around but what you can see in the pictures below is the whole bridge as it had always stood here, the gap between the bridge and the bank shows the amount of LAND which was washed away in the flood. Quite hard to believe but where the gap lies is where a whole section of river bank used to be containing streets and houses. 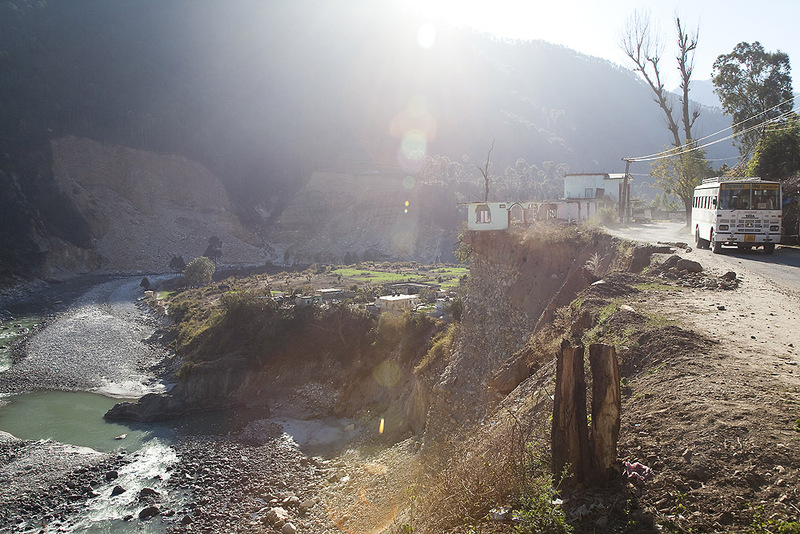 The second affect of the three days of torrential rain was landslides. 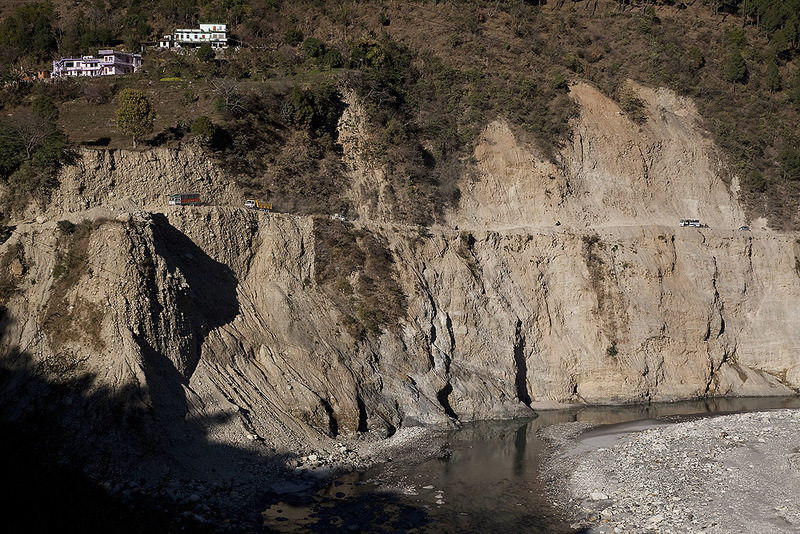 It wasn’t just the case that the saturated mountain side became unstable and started to deposit earth and rocks onto the roads and houses beneath them, much worse than this whole sections of mountainside crumbled into the valley below taking out sections of the road with them. 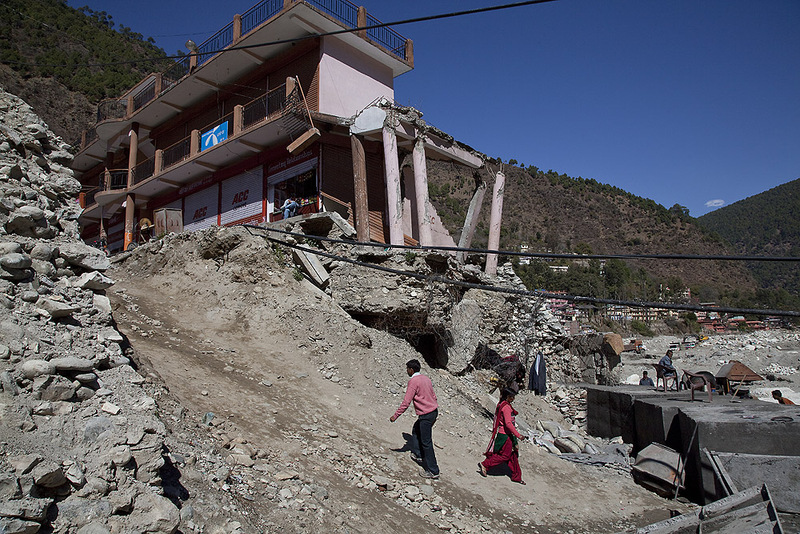 As to the causes of the disaster apart from the rain there are two other factors which may or may not have contributed. The first is that it is widely taken for granted that levels of corruption in the road building industry led to corners being cut and the roads were sub standard. 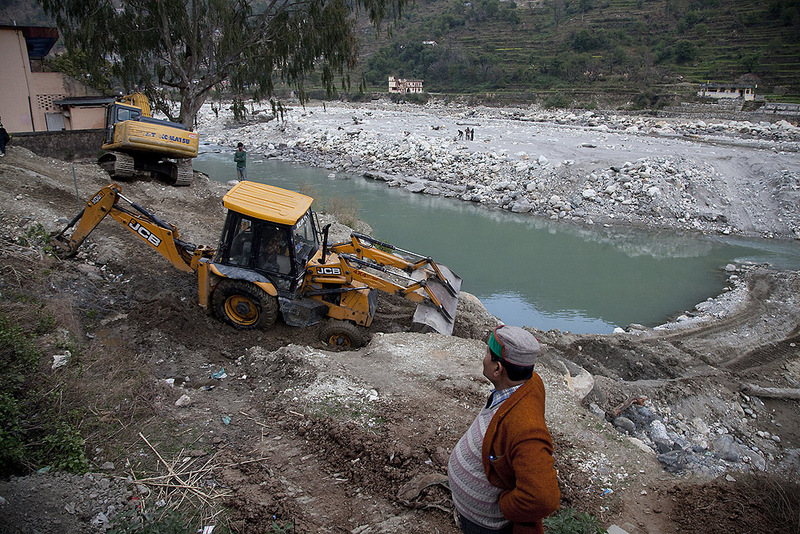 To add to this when excavation work is carried out the removed earth is simply dumped into the river therefore over time artificially raising the level of the river, the reason for this is again corruption, firms are paid to dispose of the earth sensibly but this money is simply pocketed. 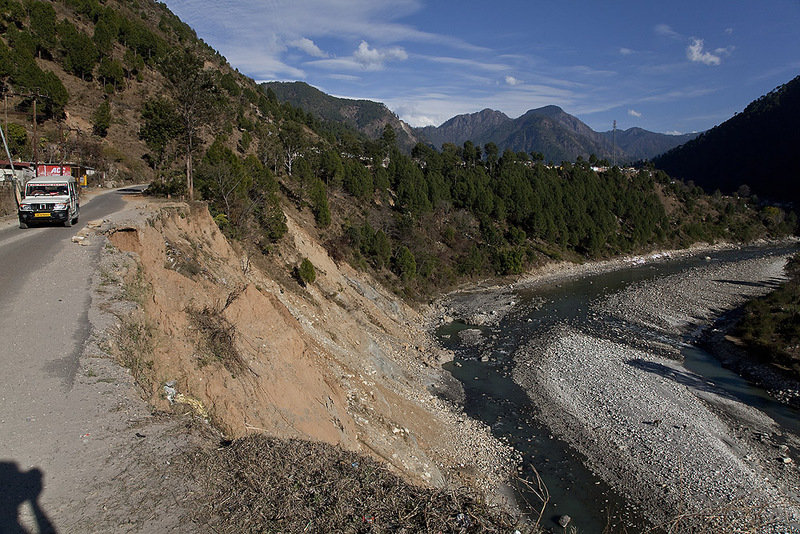 The second factor is the areas continued building of Hydro Electric dams and the consequences of this. The powers that be here discovered that the river provides a ready source of cheap electricity and have been building these dams in ever greater numbers. 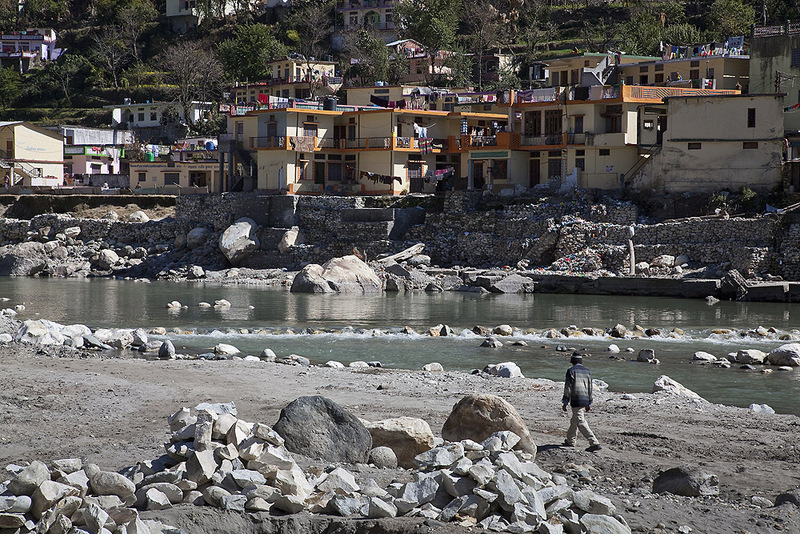 The effect of this is that huge man made lakes are created submerging mountain villages. Locals believe that when one of the deities was removed from a nearby temple that was due to be flooded it was this desecration that provoked the three days of downpour. The disaster of June led to the loss of lives of around 11,000 people. As it was during pilgrimage season and many people where here from other parts of India it is believed that the numbers could be much higher. 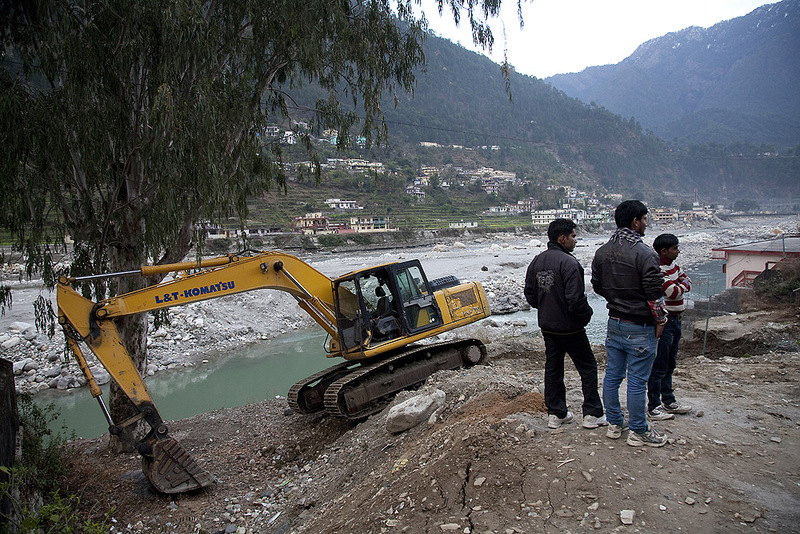 Spending time in Uttarkashi and seeing all this destruction was very sobering and gave me a new found respect for the river. 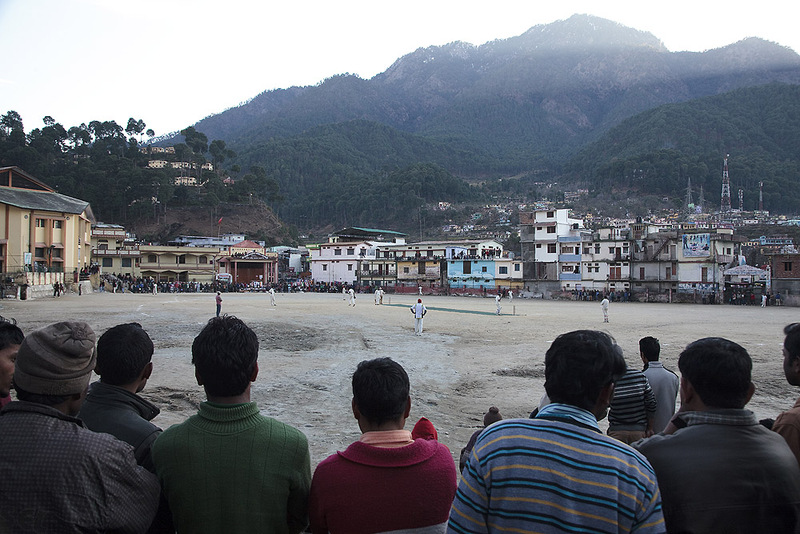 As I walked back into town I stopped to watch the cricket match on the town square and then headed back to the guest house. I passed the diggers and lorries that worked round the clock in what seemed like the almost futile task of trying to clear the river bed of debris.